This organic Earl Grey is made from 100-year-old tea trees and blended with pure bergamot oil. I’ve tried a lot of Earl Grey tea in my time, and this is probably my favorite, although recently I’ve been drinking more of our new house blend: Mr. Excellent’s Post-Apocalyptic Earl Grey. This is a nice, strong, kick-in-the-pants first cup of the morning. It’s a blend of Kenya and Assam black tea. Traditionalists would steep it a long time and drink it with milk. I tend to prefer a fairly short steep (around 3 minutes), and I drink it black. I suppose this one shouldn’t have surprised me. There are a lot of chai fans out there, and the coffee shops tend to make their chai from mixes instead of brewing it up fresh like we do. I typically make this with milk and locally-produced honey. The popularity of this tea crosses seasons, as we sell just as much of it iced in the summer as we do hot in the winter. It’s a Chinese green tea with jasmine blossoms and peppermint leaves. I’m doing some experiments now as to the best way to aerate it when we serve it, which is typically accomplished by pouring it into the cup while holding the pot high in the air. This one took me by surprise. We have a lot of different rooibos and honeybush blends in the tea bar, and I added this one initially just as something fun and different. Who knew it would end up as our most popular caffeine-free drink? This Chinese Pai Mu Tan white tea with delicate peach flavoring is the most popular iced tea in the tea bar, but it’s also wonderful hot. This is a rooibos blend from our friends up at Montana Tea & Spice company in Missoula. They add cinnamon, orange peel, cloves, and other goodies to produce a spicy caffeine-free concoction that definitely plays in Red Lodge. Dessert in a mug! This velvety chai is made with yerba maté and pu-erh instead of black tea, and the standard masala chai spices are enhanced with cacao nibs & husks, vanilla, coconut, and long pepper. We usually prepare it with vanilla soy milk and local honey. It was also very popular during the summer as a base for boba tea. This is not your basic yerba maté. This yummy south-Argentina style beverage uses roasted maté with caramel bits, marigold, and Spanish safflower petals. I’ve converted a lot of coffee drinkers using this one! This one sounded a little strange to me, but I brought it in to the tea bar on a whim. It’s another organic fair-trade blend. The Jamaica flower (Hibiscus Sabdariffa) is blended with organic red rooibos, along with lemongrass, schizandra berries, rosehips, licorice root, orange peel, natural passion fruit flavor, natural essential oils of orange and tangerine, natural mango flavor and natural essential clove oil. It’s awesome. I don’t just drink it, I cook with it, too. What will be the big sellers in 2012? I think many of these will stay on the list, but we have some new blends that are selling strong right now (like our Hammer and Cremesickle Red and the aforementioned Mr. Excellent’s Post-Apocalyptic Earl Grey), and a lot more planned for the coming months. Half of the top ten for 2011 are organic, and I’m curious whether that trend will continue. 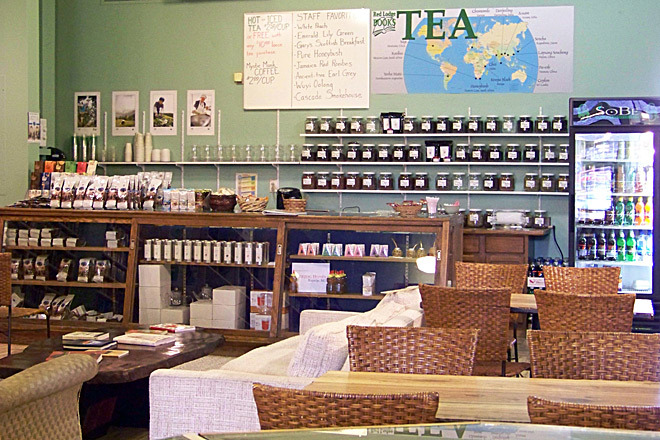 Even though the organic teas tend to cost a bit more, people are willing to pay the difference. Posted on 30 December 2011, in Styles & Blends, Tea Biz and tagged best-sellers, chai, earl grey, honeybush, Jamaica flower, Montana Gold Tea, Montana Tea & Spice Company, Moroccan mint, organic, Rishi Tea, rooibos, Scottish Breakfast Tea, tea bar, white tea, yerba mate. Bookmark the permalink. Leave a comment.